treatment against corrosion and aggressive conditions, properly fixed and sealed allowing a full weatherproof enclosure. components during routine maintenance check-ups. Voltage regulator: Voltage regulation with DSR. The digital DSR controls the range of voltage, avoiding any possible trouble that can be made by unskilled personnel. 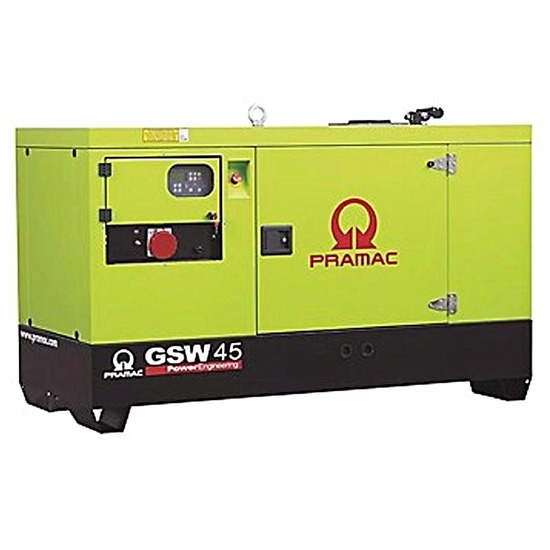 The voltage accuracy is ±1% in static condition with any power factor and with speed variation between 5% and +30% with reference to the rated speed. harmonics on the voltage waveform and is found to be the optimum design for troublefree supply of non-linear loads. The 2/3 pitch design avoids excessive neutral currentssometimes seen with higher winding pitches. MAUX (Standard): The MAUX MeccAlte Auxiliary Winding is a separate winding within the main stators that feeds the regulator. This winding enables to take an overload of 300% forced current (short circuit maintenance) for 20 seconds. This is ideal for motor starting requirements. epoxy resins by dipping and dripping. High voltage parts are impregnated by vacuum, so the insulation level is always very good. In the high-power models, the stator windings undergo a second insulation process. Grey protection is applied on the main and exciter stator to give enhanced protection. specification such as CEI 2-3, IEC 34-1, EN 60034-1, VDE 0530, BS 4999-5000, CAN/CSA-C22.2 No14-95-No100-95.